1. 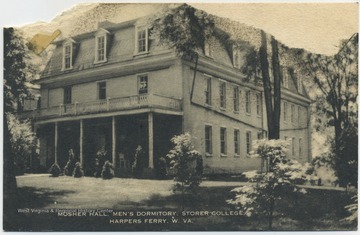 Mosher Hall, Men's Dormitory at Storer College, Harpers Ferry, W. Va.
Mosher Hall, Men's Dormitory at Storer College, Harpers Ferry, W. Va.
2. 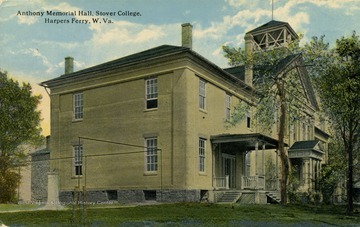 Anthony Memorial Hall Storer College; Harpers Ferry, W. Va.
Anthony Memorial Hall Storer College; Harpers Ferry, W. Va.
3. 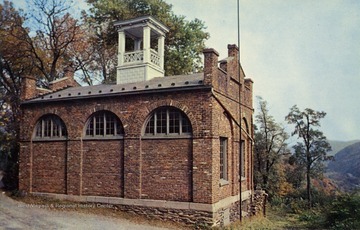 John Brown's Fort, Harpers Ferry, W. Va.
John Brown's Fort, Harpers Ferry, W. Va.
4. 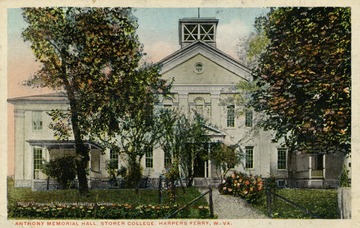 Anthony Memorial Hall, Storer College; Harper's Ferry, W. Va.
Anthony Memorial Hall, Storer College; Harper's Ferry, W. Va.
5. 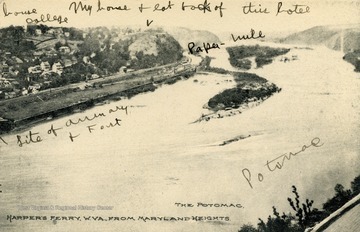 View From Maryland Heights of Harper's Ferry, W. Va.
View From Maryland Heights of Harper's Ferry, W. Va.
6. 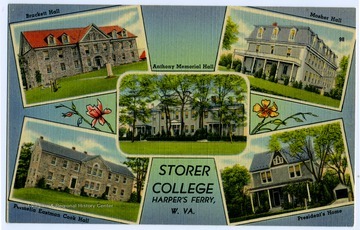 Buildings at Storer College, Harper's Ferry, W. Va.
7. 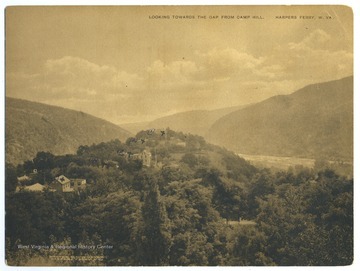 Looking Towards the Gap from Camp Hill, Harpers Ferry, W. Va.